Fans of second-wave ska and mod of the early '80s should check out Marco on the Bass' blog. Marco himself is founder of New Jersey's Bigger Thomas, based in New Jersey; in this post, however, he cites an essay by the Untouchables' Kevin Long about Los Angeles' O.N. 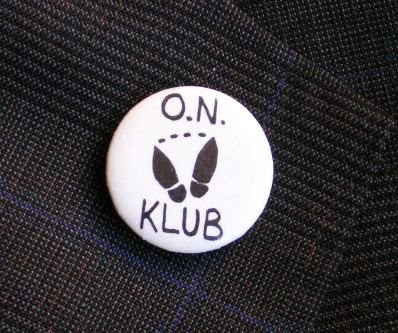 Klub and its role as a focal point of the city's nascent mod/ska scene. "It was at the O.N. Klub that the spark of a brief, but magical, alternative music scene first caught fire in 1980," Thomas writes. "The scene was an odd amalgamation of sorts, combining the sound and style of 1960’s swinging London with the music of original and second-wave Jamaican and English ska, the danceable grooves of American Sixties soul and R&B, while tapping into the DIY spirit and independence of late Seventies punk rock." At the flash point, Thomas reports: Howard Paar, a young British music enthusiast who was able to woo property owner Bob Selva into turning his property into a music club. "Before long the mod scene at the ON Klub took on a life of its own. Scooters were regularly lined up nearly the length of the block in front of the club, which got the attention of the cops, which, in turn, got the attention of the local media. Suddenly, mod was an L.A. buzzword. Inside the club, meanwhile, dancers – seeking relief from the crowded dance floor – regularly bum rushed the tiny stage to dance with the band, all the while Paar yelling – in no uncertain terms, and at the highest registers of his Cockney accent – for them to get off the stage." As we move forward with Sceneroller, we want to do a better job of celebrating the contributions of people like Howard Paar. The folks on the stage are only part of any local music scene, and our vision is to embrace the work of everybody who brought those scenes to life.